There’s always moans and groans whenever remakes are announced and maybe there was in the early 90s as well when The Bare-Footed Kid was announced for remake. The original 1975 Shaw Brothers classic by Chang Cheh was getting an upgrade for modern audiences, this time helmed by Johnnie To but still at Shaw Brothers and starring singer/actor Aaron Kwok. 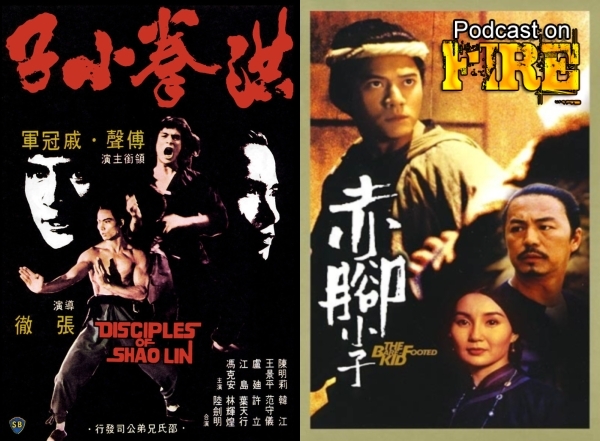 So we thought we’d take this op to discuss both, maybe not make it into a vs match but comparisons are inevitable when Kenny B and our resident Shaw Brothers afficionado Mike Maley discuss both.